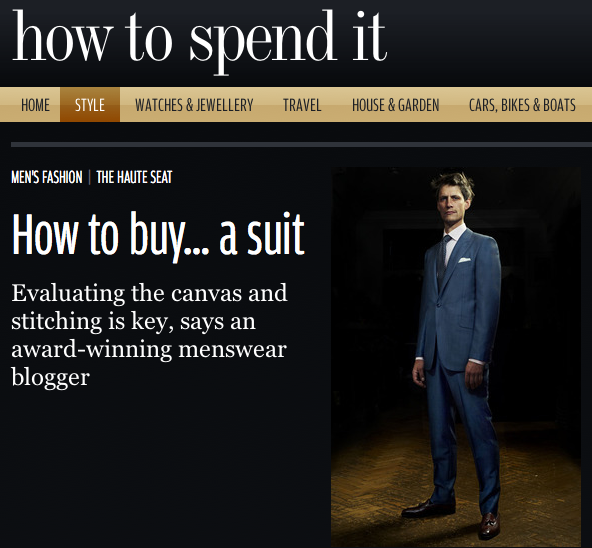 We have decided to give greater structure to my How to Spend It column, making it a practical analysis of how to buy various items in a men’s wardrobe. The first one, on suits, is now live. 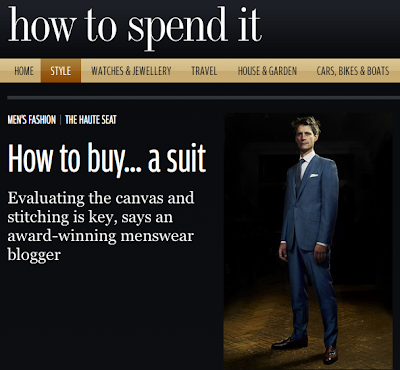 You can follow the discussion on Latest piece on How to Spend It by entering your email address in the box below. You will then receive an email every time a new comment is added. These will also contain a link to a page where you can stop the alerts, and remove all of your related data from the site. First of all, thanks for sharing your insights – there’s not much like this out there and it’s very helpful. Secondly, a request for advice. I’m getting married and am thinking about a bespoke suit for the wedding. I know the basics of what I want but my question is: how on earth does one choose a tailor? The whole process is slightly intimidating and it’s not easy to get an idea of the difference between the house shapes of, say, Kilgour, A&S, Poole and Norton by looking at websites etc. Even walking up and down the Row doesn’t help too much, as most tailors don’t have many examples of their completed work on site. And it’s quite a large sum of money to consider spending when it’s so hard to understand who to go to. That’s a very big question, one that people on sites like this spend months agonising over. It also has a lot to do with your personal taste, so it’s hard to assess that from here. Most places will give you a talk through their house style if you go in, but the majority are like Richard Anderson/Poole/Huntsman/Gieves/Dege in their structured English style. Also have a search through this blog for previous posts! Many thanks for sharing this post. Eventually, as you may guess, you have replied to a previous query with this one! Just started following your blog, you have some really interesting and informative articles on here. I’m trying to start up my own British men’s lifestyle blog, needless to say there’s lots of inspiration here!